Today is the last day to get 50GB of free lifetime cloud storage from box. 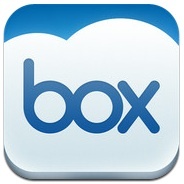 Today marks the last day to get 50GB of free lifetime cloud storage from box. To get the free storage, on your iPad or iPhone download the free app from the App Store, open the box app after installation, then register for a new account. You may also create the free account via your browser by clicking this referral link. « Another way to bypass the “Item over 20MB” iTunes limit on the iPad and iPhone. I am able to follow your step by step guide on how to root my nook however I seem to be getting an error message when it comes time to burn the file onto the sd card… it says no such directory or file? I am not sure what I am doing wrong can you please advise. It appears your SD card(s) may be partitioned or formatted a bit odd, and it may be you are unmounting the wrong disk as disk 1 appears to be the volume: EFI 209.7 MB disk0s1 from your listing. You should also have su privileges on your machine as well, and it appears that you don’t.